It was India's moment at the Davos high table and Prime Minister Modi led from the front. An inaugural keynote by the prime minister of the world's biggest democracy, India's Narendra Modi; the closing keynote by the President of the world's most powerful democracy - Donald Trump of the US; interim sessions of the four-day event graced by other world leaders - French President Emmanuel Macron, Germany's Chancellor Angela Merkel, British PM Theresa May, Canada's Prime Minister Justin Trudeau and Jordan's King Abdullah. The 2018 edition of the World Economic Forum (WEF), which is the world's biggest gathering of CEOs, heads of states, economists and do-gooders, couldn't have been any grander. In many ways it was India's Davos though. For the first time in history, the prime minister of India delivered the inaugural keynote. This was the first time an Indian prime minister attended the WEF after H.D. Deve Gowda did nearly two decades ago. The 120-member CEO delegation was also the biggest India had ever sent. CII's Deputy Director Ajay Khanna, a WEF attendee for nearly three decades, says the average size of an Indian CEO delegation has never exceeded 30-50. This time, including the prime minister's entourage, bureaucrats, five ministers and their teams, the Indian presence comprised nearly 300-400 people. Add to that executives of Indian origin from around the world, and every sixth attendee was an Indian. This year's gathering was unique in one other way. 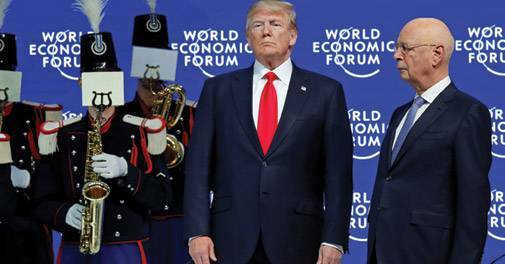 For the first time in the WEF's four-decade history, the forum had an all-women chair, including an Indian Chetna Sinha of the Mann Deshi Foundation that works extensively in the area of women empowerment and upliftment. Vicious weather greeted the delegates at Davos for the 72 hours preceding the inaugural. Nearly four feet of snow, the worst in over two decades, caused widespread disruption and traffic jams across this small ski resort town. It even forced PM Modi to take the road route from Zurich airport instead of the helicopter he was supposed to take when he landed from Delhi in Air India One. But WEF founder Klaus Schwab dug into his experience of holding the event for over four decades to allay fears of a snow-out by predicting a bright and sunny event. And so it was. The sun extended brightness and warmth on January 23, as the inaugural got underway with an impassioned invocation of Indian ethos, culture, principles and ambitions by PM Modi. Delivering the speech in chaste Hindi and invoking the oldest Upanishad, the Isha Upanishad, Modi began by discussing the theme of this year's WEF 'Shared Future In a Fractured World', but then displayed the full breadth of his oratory covering the widest possible array of issues. He quoted the Upanishads, as he does so often, saying Indians consider the world as one big family. For the global community he outlined: India has removed red tape in favour of red carpet; India is safe and will do everything to make foreign investors feel at home. Taking a dig at the world's fears in doing business with China, Modi asserted that India has no history of exploiting other people's resources and so doing business with India is good for other nations. 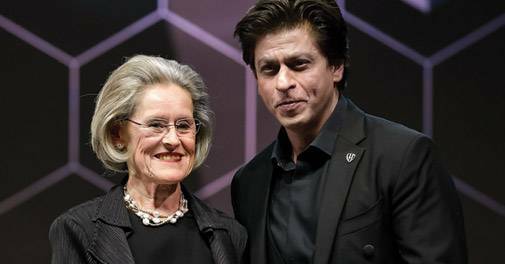 For the comity of nations, he had two messages: one, a call that global institutions need to reform and become more inclusive and democratic to let countries such as India find their rightful place in them. He was obviously using the platform of the world's biggest gathering of global CEOs to tell the world why the UN and the Security Council need to reform and expand. But he was clearly also referring to other global institutions as well. Second, he took a higher ground and said that humanity faces three big challenges: climate change, terrorism and reverse globalisation. On climate change, he again invoked the Upanishads saying they teach us to treat the earth as our mother and that humans cannot afford to be in conflict with mother nature; on terrorism he attacked the concept of 'good terrorist' and 'bad terrorist' and called it unacceptable. On globalisation, he warned protectionism and economic nationalism have reversed the trend of globalisation, and that global trade needs to be increased instead. And finally he had a message and a challenge for Indians and India Inc. He set the target of $5 trillion GDP by 2025 - an ambitious goal that requires India to nearly double its economy in eight years. Modi expressed confidence that if we can do that, Indians will be job givers, forget about being job-seekers: another ambitious goal for a country struggling to create enough jobs within the economy. That was a comment for detractors who have criticised his nearly four-year-old government for jobless growth. Several epitaphs have been scripted about the declining interest in the event at Davos; however, Schwab and WEF have bounced back with renewed vigour each time round. They managed to do it this year, too, just as everybody had been questioning how much bigger the WEF can get after Chinese president Xi Jinping and his entourage enthralled the alpine ski resort last year. "Not concerned about economic competition, but about doubling farmers' incomes"
While addressing his session 'India's Role in the World', Minister of Commerce and Industry, Suresh Prabhu, said India wasn't really competing with China on economic growth. Instead, it was concerned about doubling farmers' incomes in the next five years. 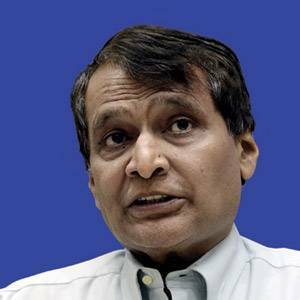 When noted journalist Fareed Zakaria, who moderated the session, asked the minister how India planned to beat China in near term, Prabhu said: "We are not in competition with any other country in the world. India is growing at close to 8 per cent and by this rate it would be a $5 trillion economy in just a few years. We are not very much concerned about economic competition, but how to double farmers' incomes in the next five years. Economic growth of 8 to 9 per cent in India will be a reality soon." Speaking on archaic labour laws, land acquisition and massive logistics costs in the country, Prabhu said: "For the first time, the government has created a logistics department in the commerce ministry and the department is working to make logistics 100 per cent digitalised to make sure logistics cost is down." When a panellist asked whether India has any plan to introduce quota for women-owned business in the government contracts to promote them, the minister said: "Instead of giving reservations to women, we should empower them to earn on their own. If all the women in India get only minimum wage, the GDP of the country will rise by 1 to 1.5 per cent." "We are working towards balancing our requirements"
Speaking at a session on 'The New Energy Equation', Union Minister of Petroleum and Natural Gas, Dharmendra Pradhan, said India has focussed heavily on renewable energy sources and will achieve its aim of 175 GW of renewable energy by 2022. He, however, acknowledged that India's consumption of petroleum will remain high and it will be dependent on oil for several years to come. "Next 20 years, India will be depending on conventional sources of energy - fossil fuels and hydrocarbons. As we are a growing country, I am sure our requirements will grow, and we are working towards balancing our requirements," he said. "Our per capita consumption is very low and we will continue to depend on imports...my expectation as a consumer would be that the prices should not pinch our domestic economy. The producing country should look into the interests of the consuming country. 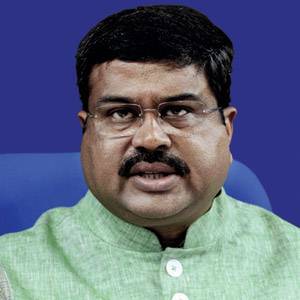 We should have more capex in exploration and production area," Pradhan outlined. "We have to look at energy efficiency in a bigger way"
Speaking at a session on 'Strategic Outlook: Energy Systems', Union Minister of Coal and Railways, Piyush Goyal, emphasised that India had committed to pursuing clean energy options despite the costs involved and that India will be part of every global effort to promote energy conservation and addressing climate change "irrespective of what other countries may do". "In countries like India that are still emerging, 80 per cent of the population does not own a vehicle as yet. And we would love them to have a first vehicle which is electric. So, in some sense, we are not duplicating investments first into the petroleum-driven vehicles and then into electric vehicles," Goyal said. 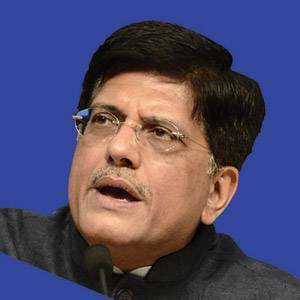 On the country's dependence on coal, Goyal said: "There will have to be a balance. We'll have to look at energy efficiency in a bigger way to bring down consumption, and more efficiently manage whatever consumption is there through the time of day, so that the dependence on fossil fuels based energy is reduced."